Born in San Francisco, California, to parents that were unable to care for him, Steve Jobs early life was a struggle for identity. An adopted child raised by caring parents, one of the early wishes of his biological parents was academic success. The Apple Inc cofounder reflected on this publicly in one of his famous speeches, explaining how important academic success was to his biological family. Most of Steve Jobs’ life was not a very happy one. His early life was filled with confusion, chaos, and search for his biological parents for whom his Education was an imperative thing. His faith and belief got turned on its head more times that one can count, and he faced several issues in his life for being the Outstanding Individual that he was. He was quirky, lived in his head, way too intelligent for his own good, and thought very differently than most people. Although at times, it almost made him a pariah, his life’s journey is a story of a man who made his life count for something, and gave to the world as best he could. Steve Jobs was adopted in the Bay area, California in 1955 by Paul and Clara Jobs. There had been issues right from the beginning regarding granting guardianship to Paul and Clara by his birth mother, Joanne Carole Schieble. She wanted to give her son up to a well-educated family so that he could attend college. Therefore, she had second thoughts about giving him up to the blue-collar couple, Paul, and Clara. Joanne even took the matter to court cover and handed over custody of her son only after she was promised that he would attend University. 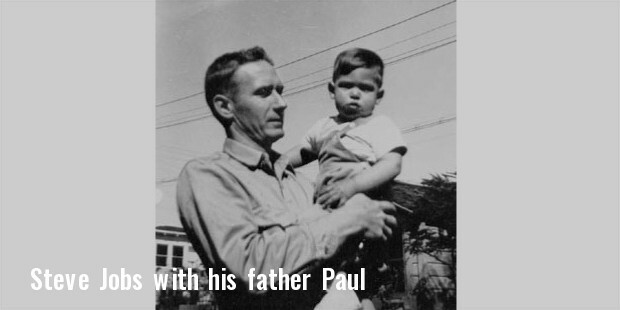 Paul and Clara adopted a daughter, Patricia, and moved to Mountain View, CA in 1961. Steve admired his father, Paul a great deal. He loved the fact that his father had a workbench and could build anything with his hands. He also assisted his father in building cabinets, repairing fences and doing odd jobs around the house. While his father was into repairing cars, Steve loved working on electronics instead. By the time he was 10, Steve had made friends with all the engineers around the neighborhood. Steve's never really made good friends with people of his age, but he did not find any difficulty making friends with adults. 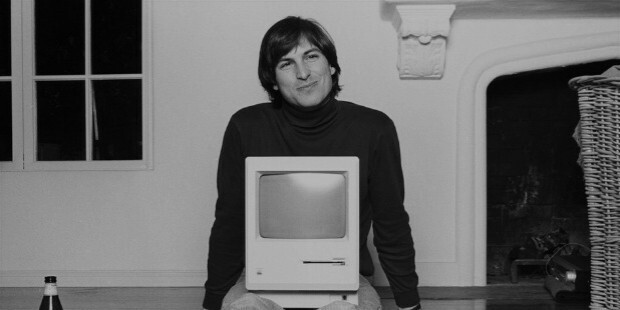 Steve was brought up in the Countercultural lifestyle in California in the seventies. It was almost taught to him to not follow directions and resist authority figures. Therefore, it was not a surprise when he rebelled against his teachers starting from the elementary school itself. As Clara had already taught him to read and write and home, he admitted that he was bored in school and turned into a little terror. Steve played pranks on others and often reduced his teachers to tears at Monta Loma Elementary school in Mountain View. His father, who was abused as a child never wanted the same for his son, therefore rarely ever reprimanded him. His father was also a great believer in him and therefore not at the school was not challenging him enough. Steve thought his 4th-grade teacher that he was the reason that his schooling turned around. She used the bribery method, which doesn't sound like it would work but in those days, five bucks was a lot of money for a young boy to receive just to have finished his schoolwork. He stated that he had learned more in that one year of schooling than he had in all other years combined. "That really kindled a passion in me for learning things! I learned more that year than I think I learned in any other year in school. They wanted me to skip the next two years in grade school and go straight to junior high to learn a foreign language but my parents very wisely wouldn't let it happen." Although it was initially suggested that he skip two years his parents didn't like the idea, so he skipped only the fifth grade and transferred to the Crittenden middle school and got admitted in the 6th grade instead. He is often described as a socially awkward loner who found it difficult to make friends his age. As per the norms of the social known as he was bullied in school and that letter to him giving his parents an ultimatum about leaving school for good or changing their residence that would allow him to get admitted to a different School. Even though it ate up most of the savings, Paul and Clara Bond moved to Los Altos and got Steve moved to a better school in Cupertino. The new house had even more engineers around, and Steve found seventh heaven. It was here that Steve made Friends with Bill Fernandez who also shared his hobby of Electronics and in the same grade as him at school. Bill was responsible for a lot of good things in Steve's live. 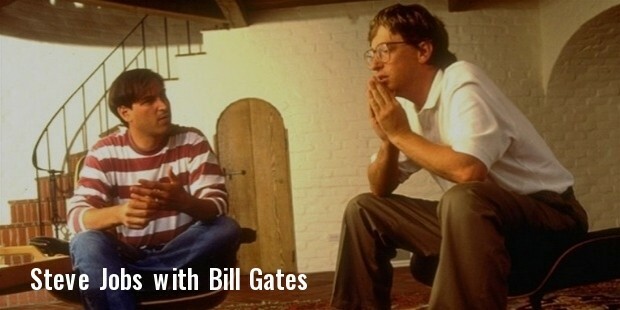 Other than having the honor of being his only friend in the new neighborhood, Bill was the one that introduced Steve Jobs to Steve Wozniak, an 18-year-old alumni of the school, who lived right across the street from Bill. 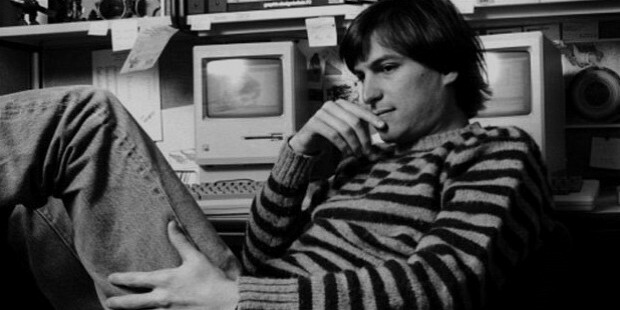 At the age of 13, Steve Jobs got a summer job at Hewlett-Packard. Steve have not even applied for the summer job he had just called to ask him for parts. "He didn't know me at all, but he ended up giving me some parts, and he got me a job that summer, working at Hewlett-Packard on the line, assembling frequency counters... well, assembling may be too strong. I was putting in screws. It didn't matter; I was in heaven." 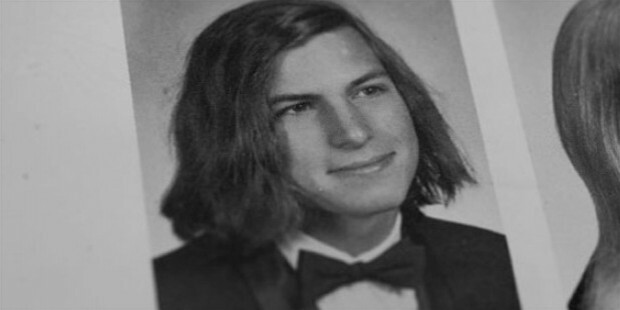 Jobs attended Homestead High School and began his first year there along with Bill Fernandez. Neither of them over from engineering household and both of them were very interested. The enrolled in electronics 1 but soon lost interest since they were both electronically much advanced in the knowledge. In the mid-1970s, Steve discovered Shakespeare, Dylan Thomas, and the Classic literary stuff, which prompted him to take creative writing lessons. He also got immersed in the music of that time, leading him to develop two different circles of friends. One that was in electronics and the other in art and literature. In his senior year, he was best friends with Wozniak and his girlfriend Chrisann Brennan, who was an art major. 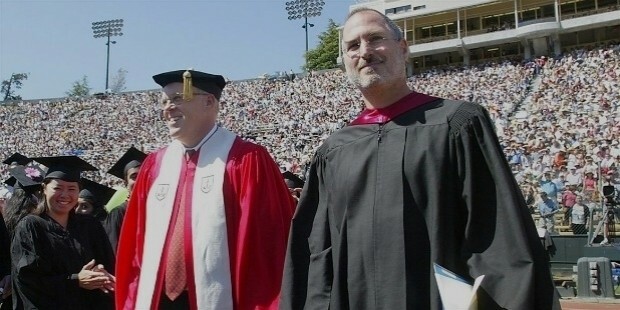 After Wozniak had started at Berkeley, Jobs went to visit him regularly on weekends to visit him and study nearby at Stanford student center. Steve decided to put up light shows at the Jazz programs rather than joining the electronics club at Homestead. This was when he discovered drugs and dope, and although she was smarter than most nerds and more intellectual than the hippies he was kind of an outsider, an individual at the time when individuality was not an accepted concept. After graduating and before leaving for college Jobs even tried out his hand at acting. 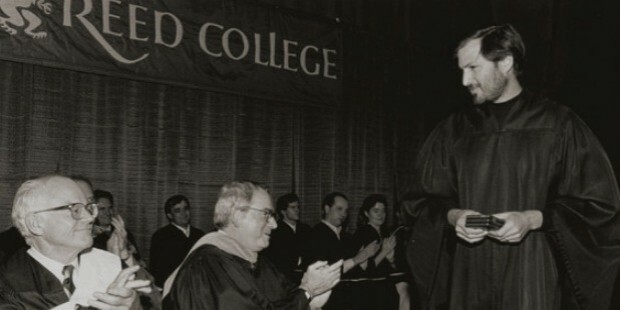 Jobs enrolled at Reed College in Portland Oregon in 1972. It was an Expensive college, and his parents could hardly afford it. Jobs decided to drop out of college because he did not want to spend all his parents' money on it. Instead, he continued to attend by auditing classes although he was not an official student. The main course he paid most attention to was a calligraphy course taught by Robert Palladino. By this time Brennan, who was still a senior at high School, had stopped visiting him and refused Jobs’ offer to come and live with him in his house. They’d been growing apart slowly, and each of them was seeing other people. In 2005 at a speech at Stanford, he admitted having led a fairly frugal life at this time. In 1973, Steve Wozniak redesigned a classic video game, Pong. This led to Steve taking the game to Atari Inc, where did give him a job of a technician thinking that you had built that game. According to Brennan, Steve was living a simple life at this time, living in a cabin, working at Atari and saving money for his planned trip to India. Steve Jobs traveled to India in 1974 with his friend from Reed College Daniel Kottke in search of enlightenment. But when they were reached the discovered in the person that come to me it has already passed away the previous year, and so they decided to Trek through the riverbed of the Ganges to the Ashram of a different guru in Uttar Pradesh, India. After 7 months when Jobs left India in return to the US he had changed his appearance, shaved his head, and had started wearing traditional Indian clothes. It was at this time that he was experimenting with psychedelic drugs like LSD. Steve also spent some time at the commune in Oregon where Brennan joined him. During this time, both Jobs and Brennan started practicing Zen Buddhism and Jobs started living with his parents again. Steve visited and spent time in several meditation retreats at the oldest Soto monastery in the US. She believed people around him who did not share his roots could not fully relate to his line of thinking. Steve returned to Atari and was assigned to create circuit boards for video games like breakout. Bushnell offered Steve hundred dollars for each chip that was eliminated in the machine. Experience in this year he decided to bring in his friend Wozniak to help him in the task. Together they created history. The developed such a circuit board that was impossible to reproduce in an assembly line. Buy those times was Mia to design a low-cost blue box which could manipulate the Telephone Network allowing free long distance calls. Just decided that they could make money, and therefore they started selling the illegal blue boxes in a clandestine manner. This is what first given the idea that there was money to be made in electronics, and it could be both fun and profitable. 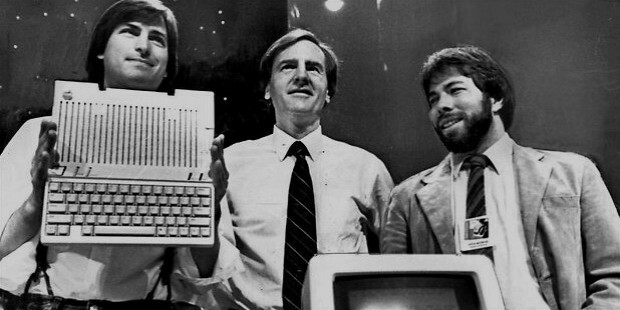 In 1976 Wozniak invented Apple 1 computer and when he showed it to Jobs, he suggested that sell it. 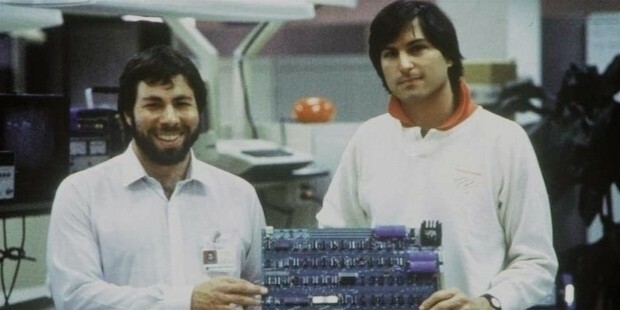 The two of them and Ronald Wayne formed a company together naming it Apple computers, in the garage of Steve Jobs’ Los Altos home. 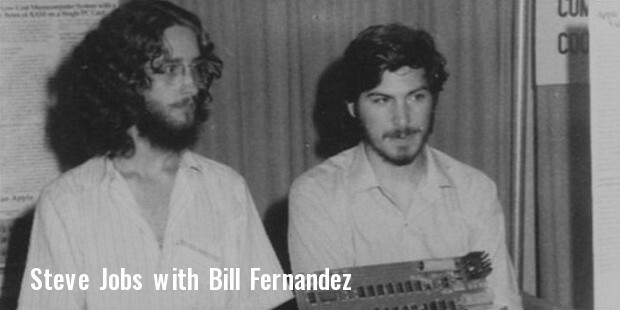 Wayne state only for a short time leaving Wozniak and Steve to be the to active primary co-founders of the company. Working out of his dad's garage Steve faced a lot of negative comments from people in his neighborhood.According to Daniel Kottke, Steve was the only person who worked in the garage, Wozniak only supplied the codes. Most of the early work took place from his kitchen door as they tried to find investors. 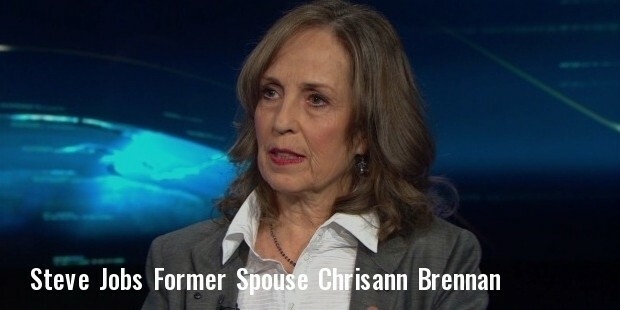 Finally, the received funding from Mike Markkula, who was the semi-retired Intel marketing manager and also an engineer.By this time Brennan had returned from India, they reconnected and fell in love again. 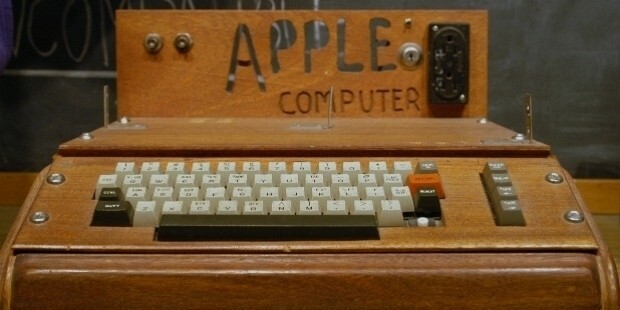 By early 77 a prototype of Apple computer was ready and later that year Jobs and Wozniak introduced Apple II at West Coast computer faire. It was the first consumer product sold by Apple computers and one of the highly successful mass-produced microcomputer product. The primary designer was Steve Wozniak. As Jobs became more and more successful in Apple, his personal relationship grows more complex. 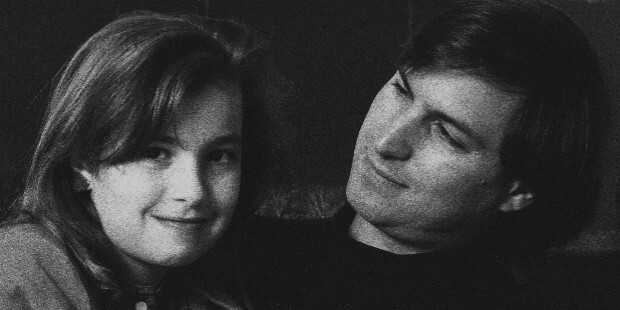 Steve, Brennan moved in together along with Daniel in a house near the Apple office, and she took a job in their shipping department.However she left Apple shortly following pregnancy, she was ashamed of being unwed and pregnant with Steve's child. Steve hard-set against adoption, and he was very angry about the fact that she did not accept his offer of staying at Apple. It led to her living a hard life cleaning houses and living in different places, and when Steve was just 23, Brennan gave birth to their daughter, Lisa. 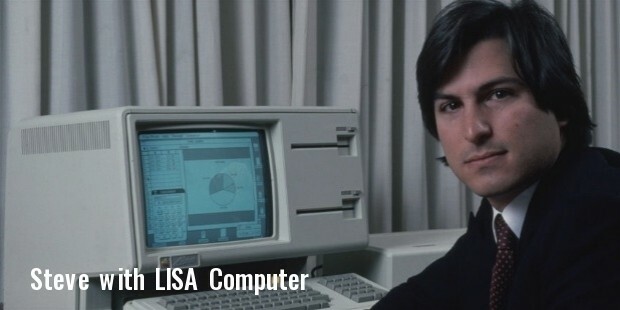 Jobs and Brennan were unanimous on the name, and he made sure to work on a phrase that would acronym to Lisa so that he could name the next Big product Apple Lisa. When a company went public and Steve became a millionaire Brennan was still working as a waitress in Palo Alto. After continuous denials of paternity on Steve's part when it was proven with a legal test Steve paid $500 per month to Brennan for child support. 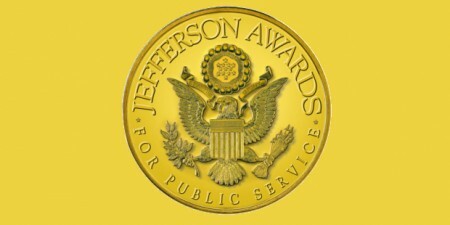 Her interview with Time Magazine denied Steve Jobs the “Time person of the Year award” as she spoke about the relationship and his behavior towards her. Instead, they decided to name the computer, Apple Lisa, “Machine of the Year”. 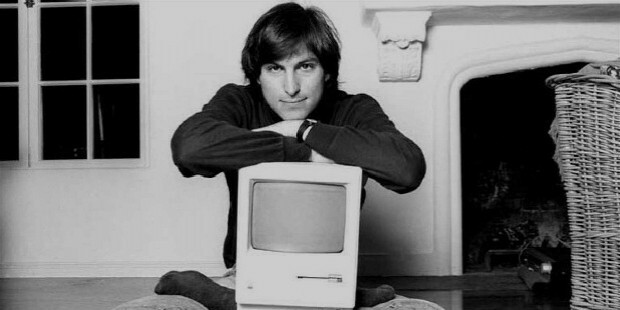 Steve was worth 1 million dollars when he was 23 and by the time he was 24 he was up to 10 million; by the time he crossed the 100 million net worth mark when he just 25. 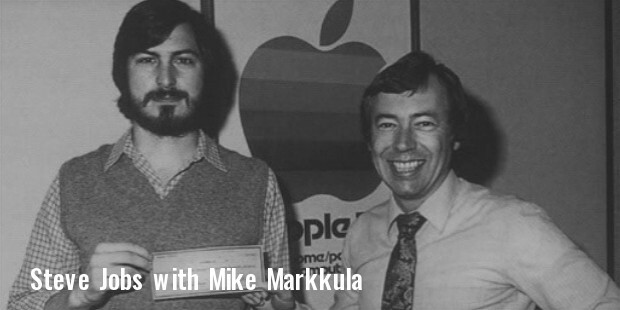 In 1978, Apple recruited Mike Scott to serve as the CEO for the next few years that turned out to be turbulent times for the company. 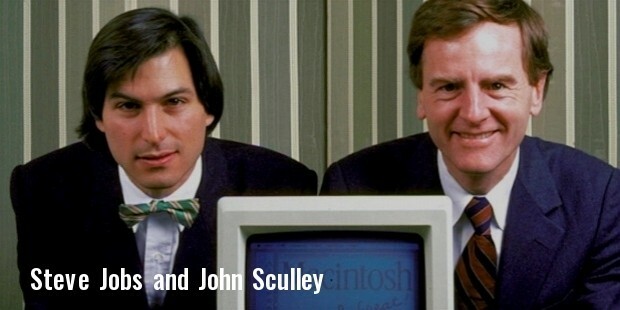 In 1983, Jobs hired John Sculley from Pepsico to serve as Apple's CEO. "Do you want to spend the rest of your life selling sugared water, or do you want a chance to change the world?" - Asked Steve Jobs to Scully. In 1984, Jobs bought Jackling house estate and stayed there for almost ten years after which leased it out until 2000, after he stopped maintaining it. The same year Apple introduced Macintosh; an emotional Steve Jobs introduced it to a wildly enthusiastic audience at the annual shareholders meeting in January. However, it was not instantly hit product. In 1985, Bill Gates threatened to stop making applications from Mac OS it acquired a license for the operating system software. Microsoft was developing its own GUI for DOS, which they were calling Windows, and they did not want Apple to sue them over the similarities between Windows and Mac interface. Microsoft got the license earlier, and it brought on problems for Apple, as the chief IBM computers that run on Microsoft software started using Windows and Macintosh, although older, was more expensive, so Windows got a lot of more users than Apple. Scully and Jobs’ visions for the company was so different that it lead to a new division being created inside the company, and Jobs tendering his resignation which the board declined and asked him to reconsider. However, a few months later he did resign to the board which led to another five senior Apple employees to also resign and following Jobs to his new company, NeXT. 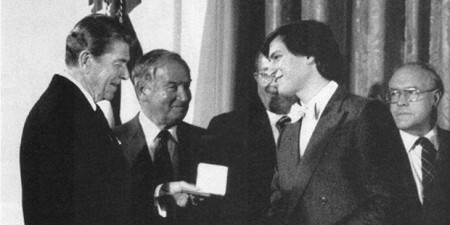 Jobs founded the company in 1985 after his resignation from Apple, and with the help of Ross Perot, who invested in the company, they showcased their computer to the world which was considered Jobs’ comeback event. The workstation was first released in 1990 and just like Apple Lisa it was technologically advanced but expensive, and therefore not affordable to the general public and the educational sector for which it was designed. The workstation was technically very strong do the main strength being object-oriented software development system and therefore Jobs Could market his product to the financial, scientific, and academic community highlighting the innovative use of Technologies. 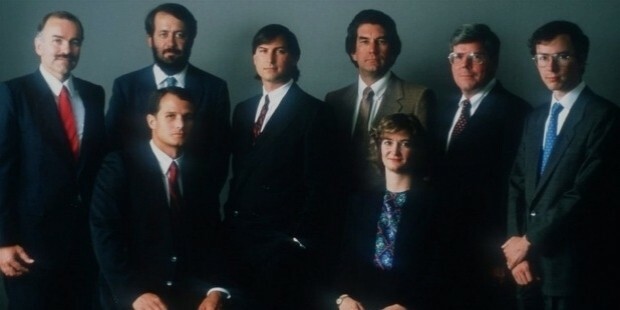 In 1986, Steve Jobs funded the graphics group which was the computer graphics division of George Lucas' movies, for the price of 10 million dollars. 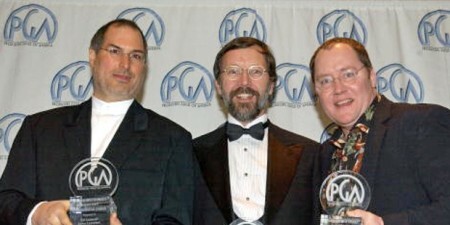 The first film after this partnership is made what's the story and it credited Steve Jobs as an executive producer. It made animation company an instant hit, and people knew Pixar's name everywhere. 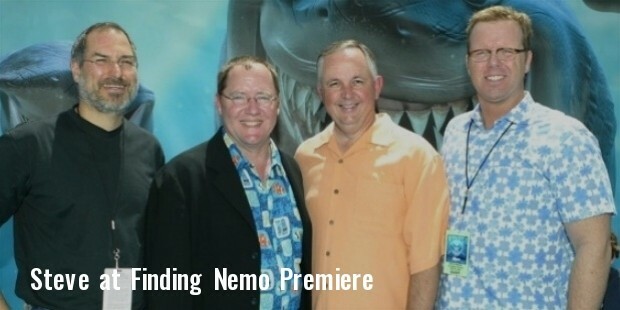 Over almost the next two decades under John Lasseter, the creative chief, the company produced hit after hit like A Bug's Life, Toy Story 2, Monsters Inc., Finding Nemo, Cars, Wall-E, etc. They received over 5 Academy Award nominations for best animated feature, an award that was introduced only in 2001. 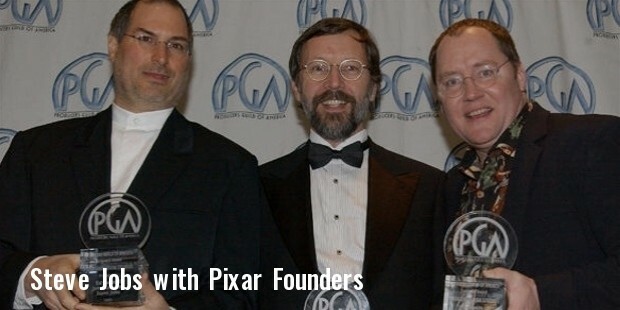 At the end of 2003 as Pixar contract with Disney was about to expire Steve and Pixar CEO, Eisner, failed to negotiate new terms of contract ABB jobs announces that Pixar would have to look for a new partner for its new movies. 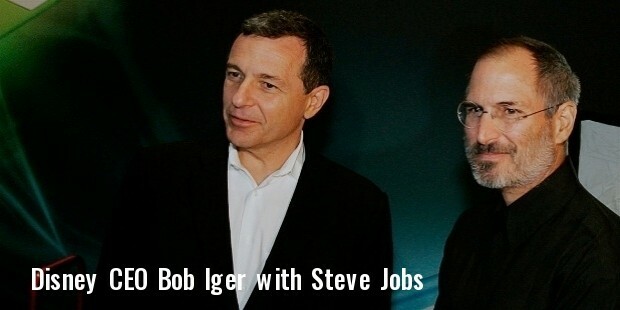 But in October 2005, Bob Seger replaced Eisner at Disney, and he quickly made sure that Steve Jobs would remain their main partner. Disney agreed to purchase Pixar with 7.4 million dollars worth of stocks Jobs became Disney's largest single shareholder as he had approximately 7% of its stock. This move by Bob Iger was not taken well at Disney 11rd and resulted in his house thing from the Disney company. 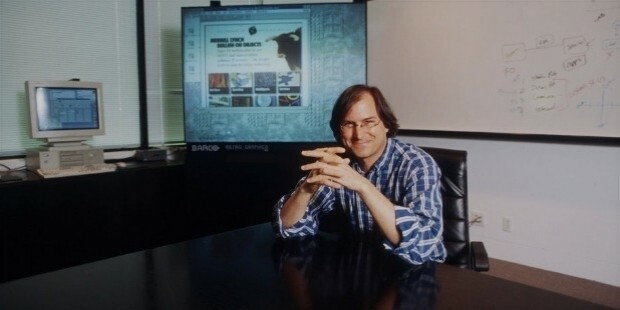 Steve Jobs became the largest shareholder and a board member with 7.4 % stock which on his death passed on to Steve Jobs fund run by his wife, Laurene Jobs. In 1996, Apple announced that they would like to buy next for 427 million dollars when the deal was finalized in 1997 it brought jobs back to the company he co-founded. 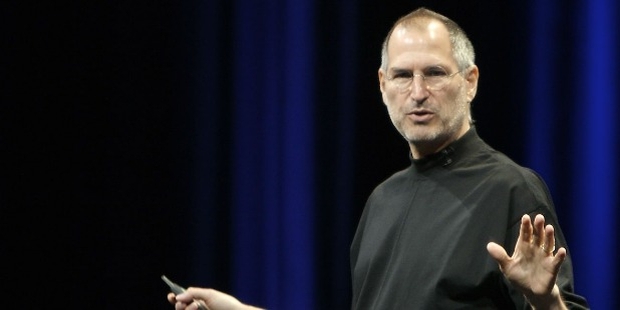 After Gil Amelio, Steve Jobs became the de facto CEO of the company. To work towards apple profitability is terminated a lot of non-profit making processes. He merged NeXTSTEP with Apple products creating Mac OS X. 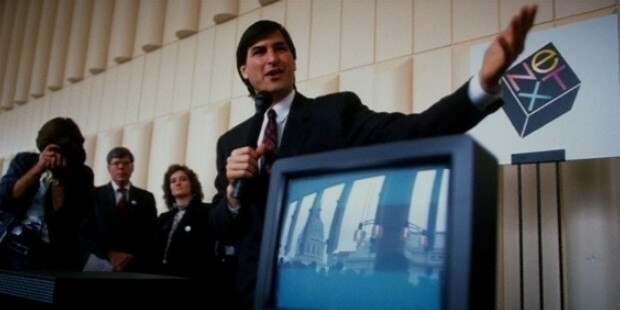 It led to the introduction of iMac and other new products. 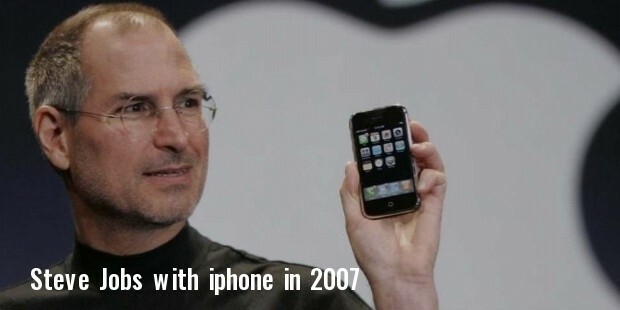 By 2000 Steve Jobs top being the interim CEO and became the permanent CEO. The company subsequently branch out under his guidance improving digitally via the iPod, launched the iTunes store. In 2007, they launched the first multi-touch cell phone for iPhone, which included the features of an iPod as well as a web browser. Steve was a very demanding perfectionist he was both admired and criticized for his skills of persuasion as well as salesmanship. He aspired to position his product and his business at the absolute front of the IT industry by foreseeing and setting style Trends for innovation. To be fair he did that as long as he possibly could. There was a time when everyone who is anyone had to have an iPod. Then, when he launched the phone with the new OS, it was an instant hit because if the multi multi-touchres and never-before seen properties under the guise of a phone. He made the phones ‘Smart’ and he will forever be credited with that title. 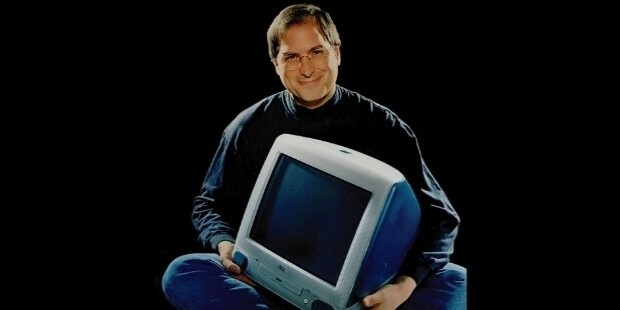 Also, his never ending aspiration to make portable computers, he conceptualised the iPad, a tablet computer that was so much more powerful than the regular phones but not as cumbersome as having to lug around a iMac. How many people do we see even to this day who is without their trusted iPads? He quoted by Hockey player at his keynote speech in the Mac world conference and expo and quite rightly summed up his vision. "There's an old Wayne Gretzky quote that I love. "I skate to where the puck is going to be, not where it has been." And we've always tried to do that at Apple. Since the very, very beginning. And we always will." 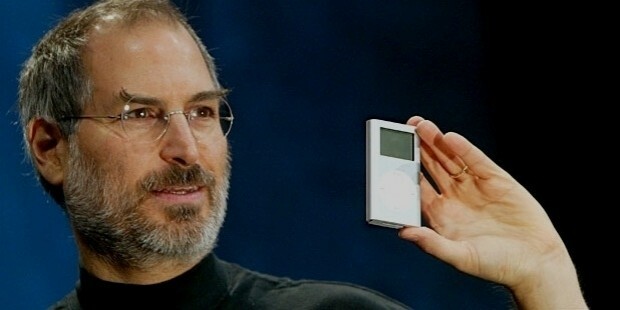 In 2003, October Steve Jobs was diagnosed with pancreatic cancer. Since the prognosis was such a cancer is usually very poor he stated that he had the much less aggressive type of tumor. Jobs registered his doctor's recommendations and denied treatment for a very long time. He tried natural healing processes to try and stop the disease from spreading. Steve tried a vegan diet, acupuncture, herbal remedies and other treatment that is found online; he is even known to have consulted a psychic. According to researchers was what brought on his death much earlier then it would have happened if the medical intervention was done in time. By the time he underwent the surgery that ok to remove his tumor successfully, it was almost too late. He, however, did not require chemotherapy and Radiation therapy. During his absence, Tim Cook ran the company on his behalf. In the August of 2006 and he delivered the keynote address for Apple annual conference; his appearance and his listless delivery set the media and Internet off, speculating about the status of his deteriorating health. Two years later, in 2008, he appeared to be very ill again and people were concerned by the way he looked. However, Apple was quite adamant that he just had a common bug. When it was announced that their vice-President Pete Schiller would be delivering the company's final address and Mac world conference 2009 the questions regarding Steve Jobs health increased exponentially. However, Jobs made a statement in January 2009 stating that he had been suffering from of hormone imbalance for several months. In January 2009, Steve jobs realized that his Health was going downhill and he applied for a six-month leave to regain his health at which time Tim Cook was made the CEO of Apple. 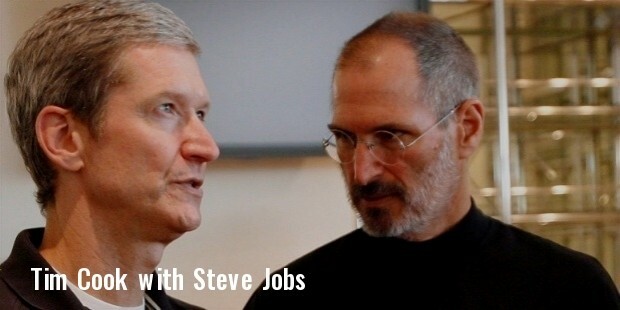 Upon learning that Steve needed a liver transplant, Tim Cook offered a part of his liver to Steve, since the shared the same rare blood type. Jobs, however, vehemently refused to accept it. In April Jobs underwent a liver transplant in Tennessee and He was diagnosed to be in excellent health post op. 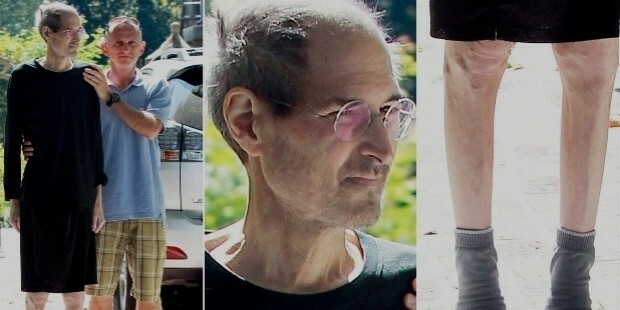 In January 2011 after working a uniform after his liver transplant Steve Jobs decided to take a medical leave of absence. 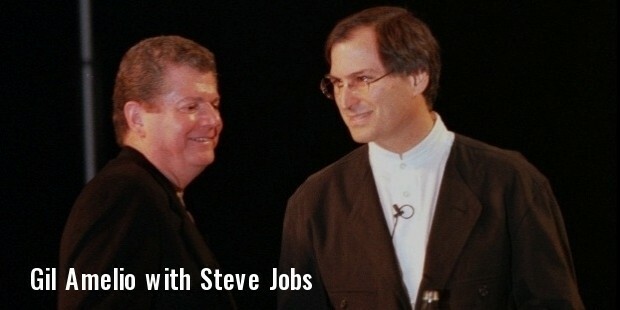 Tim Cook was made the Permanent CEO of the company, however, Steve was to be a part of any major strategic decision that was to be made by the company. 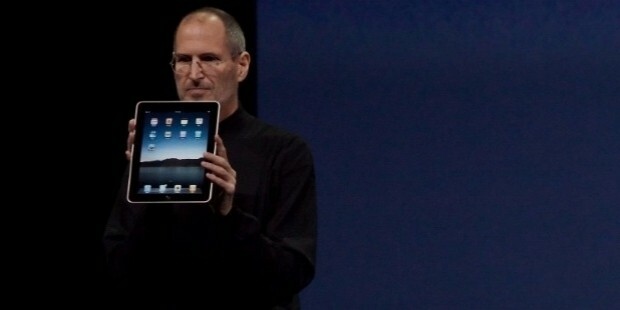 He appeared at the iPad 2 launch and also delivered the keynote speech introducing iCloud. It was only in August 2011 that he announced resignation apple's CEO. He became the Chairman of the board and surprisingly named Tim Cook as his successor at the helm of Apple. He continued to work for the company up until six weeks before his death. Steve Jobs died at his home in Palo Alto California on the afternoon of October 5th, 2011. The cause of his death was a complication from a relapse of his pancreatic cancer, which resulted in a respiratory arrest. 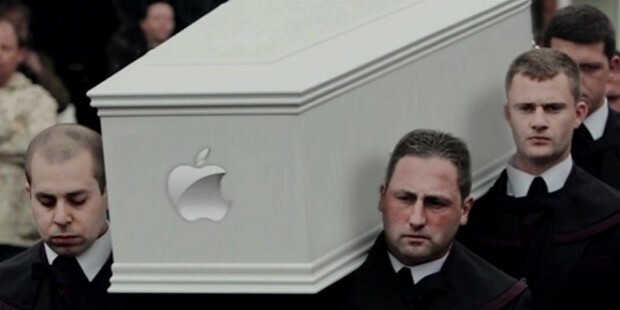 Steve Jobs died peacefully with his family surrounding him. A small private funeral was held, but the details were not revealed to the public out of respect to his family. Apple, Pixar, Microsoft, Disney everyone flew their flags half mast in his remembrance from October 6th to 12th 2011. Steve Jobs is buried in automation Memorial Park the only non-denominational cemetery in Palo Alto California, his grave is unmarked.